Attorneys for Wisconsin Assembly Speaker Robin Vos argue their client is immune from civil legal action. The powerful Republican is refusing to testify in the federal lawsuit over the drawing of state political boundary maps. Democrats asked the federal panel of judges to force Vos to sit for a deposition and turn over documents related to the case. They say the boundaries he helped draw were illegally gerrymandered. That case is likely to be heard in the lower federal court this summer. Jay Heck of Common Cause of Wisconsin says two other cases that the U.S. Supreme Court is considering next week could have an impact on Wisconsin even before the state's case is heard.. "...The U.S. Supreme Court is scheduled to hear arguments on March 26 on two cases. A North Carolina case where Republicans gerrymandered a Democratic district and a Maryland case where Democrats gerrymandered a Republican district. 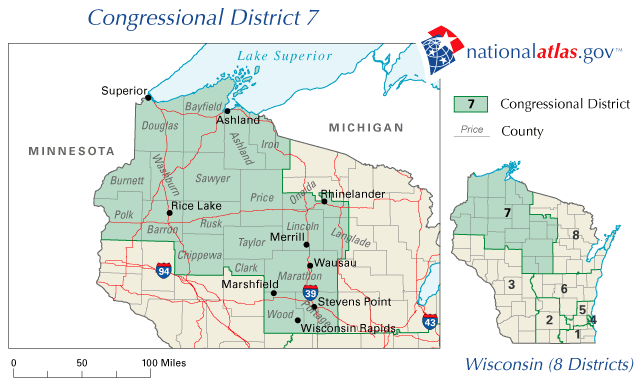 Depending on how the court rules in the breadth of the decision, if they rule against gerrymandering in those cases, it's conceivable that would affect Wisconsin's gerrymander...."
The Wisconsin case made it to the U.S. court first, but was returned on a technicality. Heck says observers are watching closely at the U.S. Supreme Court with the change of Justice Anthony Kennedy for Brett Kavanaugh. "...The Republicans certainly will take it out of the budget, that's what they want to do, at least we'll get a public hearing to air this issue in a way we haven't over the last eight years. We've been denied even a public hearing on non-partisan redistricting..."
Heck says one statewide poll shows a wide majority of Wisconsin residents want a non-partisan panel.